A very short “review” of the most recent Spidey film. This film had a lot going for it. 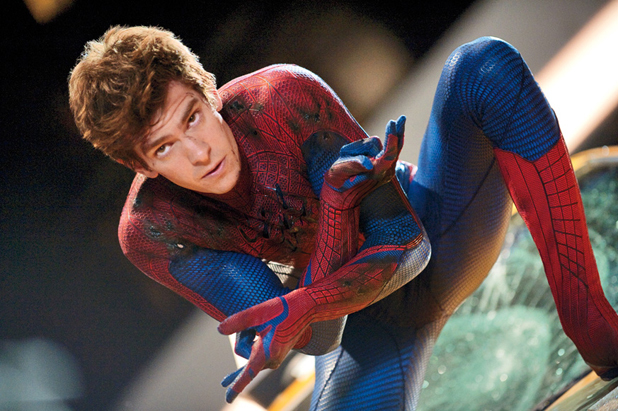 Mainly, Andrew Garfield and Emma Stone. However, I feel this version is plagued with bad characterization and story choices. Both, coming from a writing perspective. Peter Parker in this film is a bully and extremely sarcastic. Peter should be noble and witty. Secondly, while Gwen Stacy is a major character in some continuity of the comics, most people consider Mary Jane to be Peter’s true love. Lastly, Peter’s Aunt and Uncle are somewhat minimized and there is a large focus on a film-created mythology of Peter’s parents. It slows the film down. If you want to see a film that better characterizes Peter, features Mary Jane and properly examines Peter’s relationship with his aunt and uncle, rent the first two Spider-Man films with Tobey Maguire. I just finished watching both seasons of American Horror Story. My goodness. What good television. AHS is an anthology series, which means, each season of the show features new characters and locations, but the cast remains the same. (Give or take a few new cast members.) The first season followed the Harmon family, as a husband and wife dealt with the husband’s infidelity. The second season followed a group of mental patients who in most cases, didn’t deserve to be hospitalized. The word Horror in the shows title is the clue here. This is not your average prime time drama. The wife in the first season gives birth to the anti-Christ. A nun in the second season is possessed by the devil. And these are just a few examples of the Horrors you’ll find. At its core, AHS is great storytelling. The characters are well rounded, the plot is engaging and you are on the edge of your seat as each episode ends. CLIFFHANGERS Abound! I watched both seasons in three days. The storytelling is enhanced by a brilliant cast. Jessica Lange mesmerizes in both seasons as characters you don’t want to cross— and in the second season, her character is humanized by season’s end. Sarah Paulson delights as a psychic in the first season and rages your anger as an aspiring writer held against her will in the second. 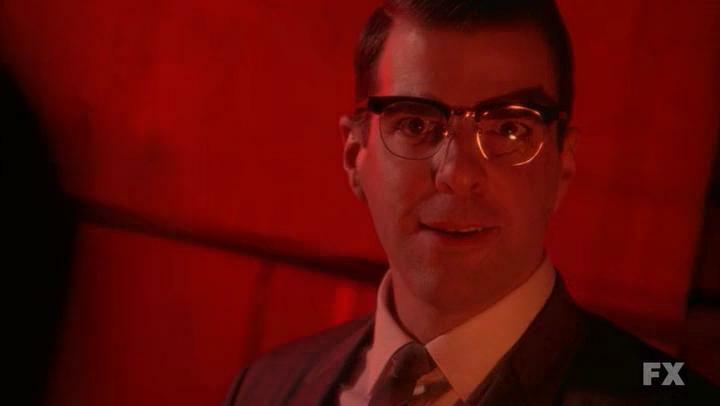 Zachary Quinto annoys you as a sassy gay partner in the first and terrifies you as a demented psychiatrist in the second. I could go on. This cast is downright amazing. I enjoyed the second season more. I think in part, because the conflict was more intense and the ‘good’ characters had more to lose. I would say, however, the second season was a tad frustrating. It’s important there is conflict on a show. Without it, you have no story. But in the second season, the ‘bad’ characters often were “winning the race” so to speak, very often. A ‘good’ character would make major headway, only to be taken back to square one minutes later. Having this kind of dynamic once in awhile is fine. But, having it almost constant frustrated me as a viewer. As an example, Lana Winters, the writer being held captive unjustly— does escape the mental hospital. However, the person who breaks her out ends up being a really bad person— and Lana needs to escape. She does. But when a motorist lets her in his car so she can get away— turns out the motorist hates women and plans to shoot Lana. This slight frustration aside, the show is beautiful entertainment and is a must watch for any writer. The show is vast in its mythology and has a lot to explore. It is an excellent example of how a writer must craft his show and really understand its universe. If you have not seen this show, I highly recommend it. I just hope that in the third season, the race isn’t always being won by the series’ antagonists. Now, the thought of seeing someone “5 times worse” than Annie Wilkes— that’s intriguing.